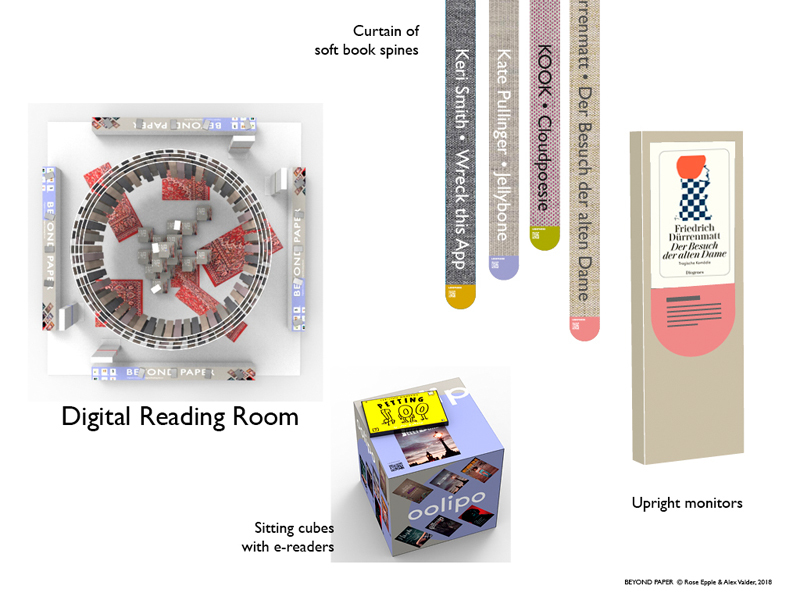 Proud to announce that BEYOND PAPER, the digital reading room designed by Alex Valder and myself, won a DigiVis award. The competition rewards projects that increase visibility of digital products. 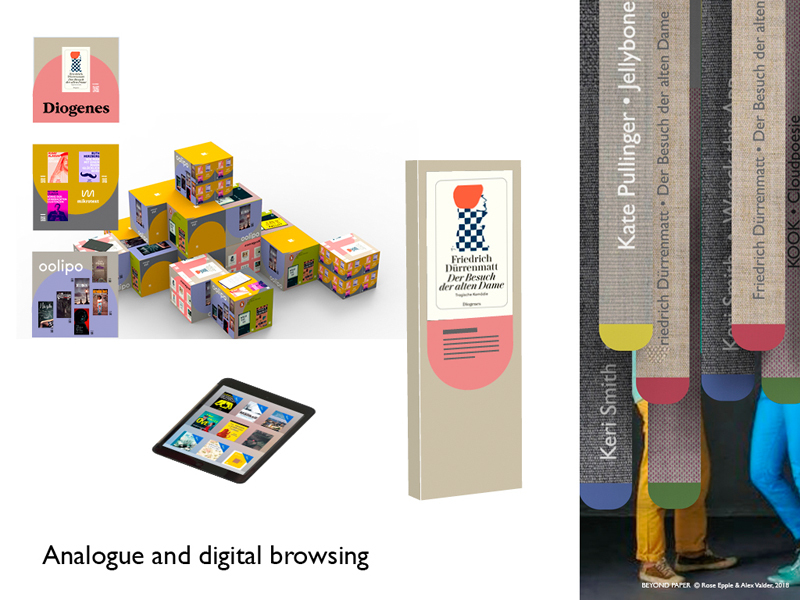 We proposed ways to show digital books in the real world – be it at a trade fair, in a bookshop or at literary events. In recent years e-book sales have flat-lined and there seems to be a big nostalgia for the printed matter all around. As much as I love paper myself, I am aware that it is a finite resource and that we cannot keep on producing books in these quantities. Also as a creative person, I am naturally excited about the possibilities digital books might offer to an experimental book designer. So I was curious to know what was happening in the digital book arena. To visit the biggest book fair in the world in Frankfurt seemed a good idea for that – if only there had been any e-books to be seen. The books around me were exclusively made of paper. When I asked, “excuse me, could I have a look at your e-books?”, publishers would give me a surprised look and reply, “but they are digital!”. 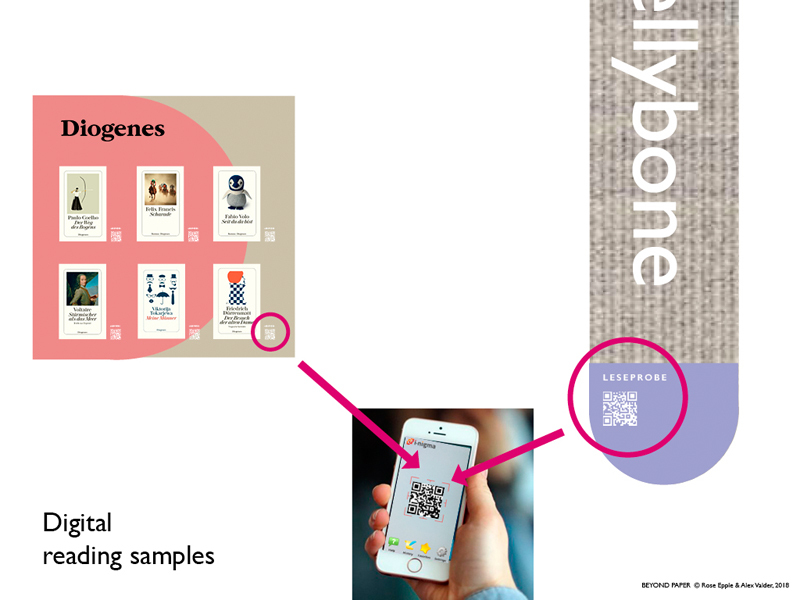 Wait a minute – is it really not possible to show digital books at a trade fair or in bookshops? How can staunch paper readers (and there are lots of them, especially in Germany) warm to the e-book, when it stays practically invisible in the analogue world? We asked ourselves, what possibilities open up when “book” does not necessarily mean ink on paper anymore? 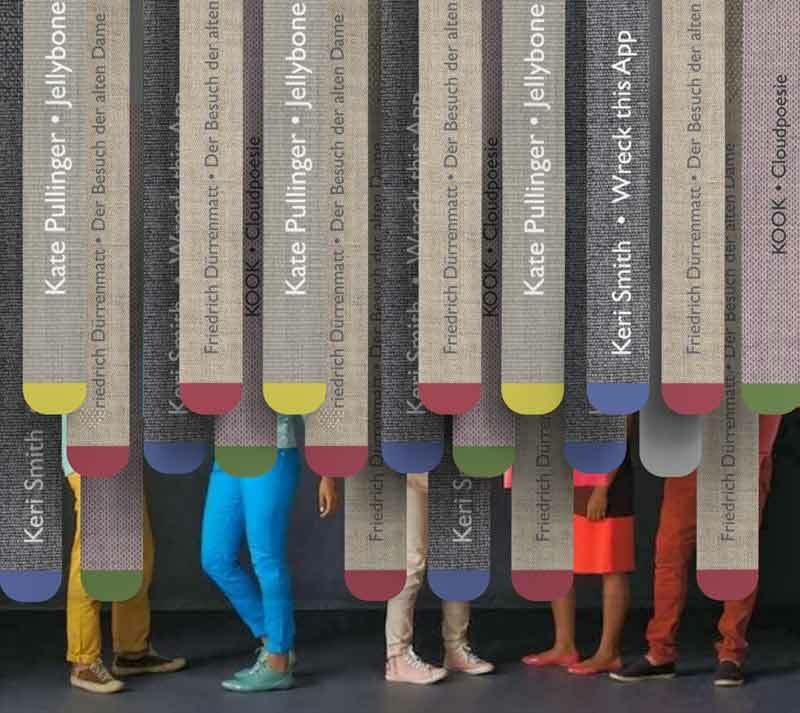 Beyond paper, texts can take on new forms and new materials. Can you build a room with them? 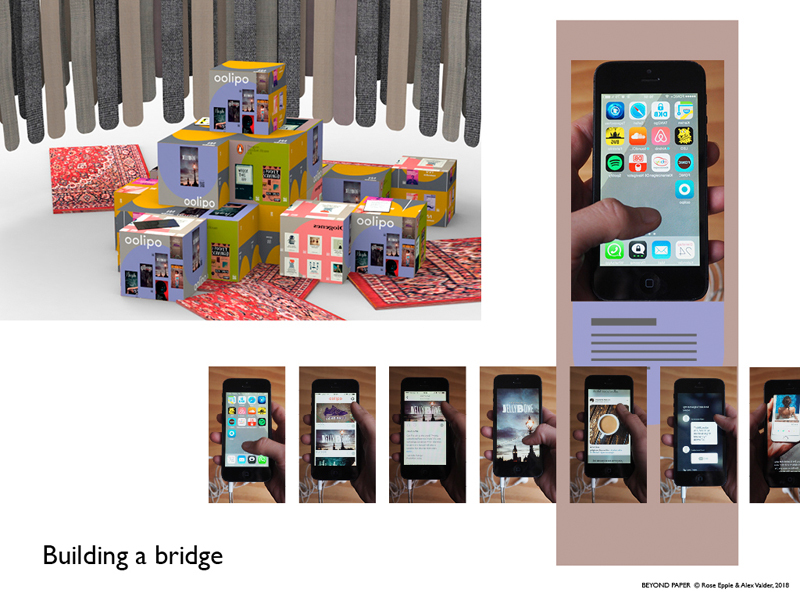 How could a spatial interface between the analogue and the digital world work? 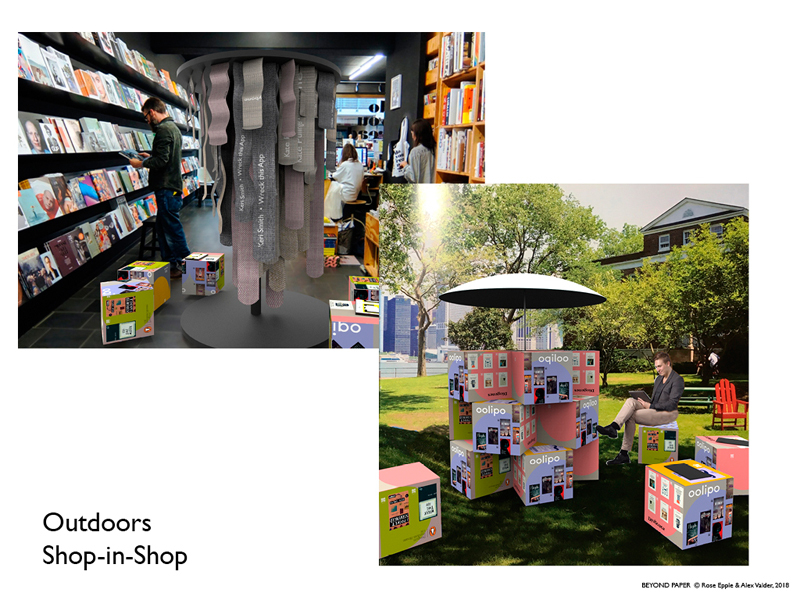 BEYOND PAPER, the result of our collaboration, is a proposal for a group stand at a book fair. 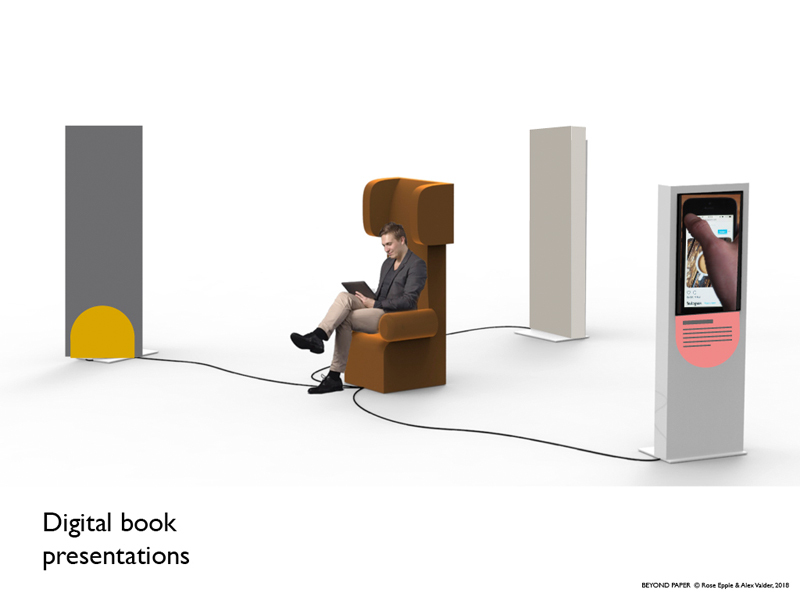 It is a digital reading room that presents e-books from different publishers and gives them a presence at the fair. The reading room is enveloped in a curtain of soft book spines that acts as an acoustic shield against the noisy fair. The midst of the space is taken up by sitting cubes that have e-readers attached to them. Upright monitors that can be connected to these e-readers enlarge the digital book content and transmit it to the outside. The thing most missed with e-books is the haptic experience. 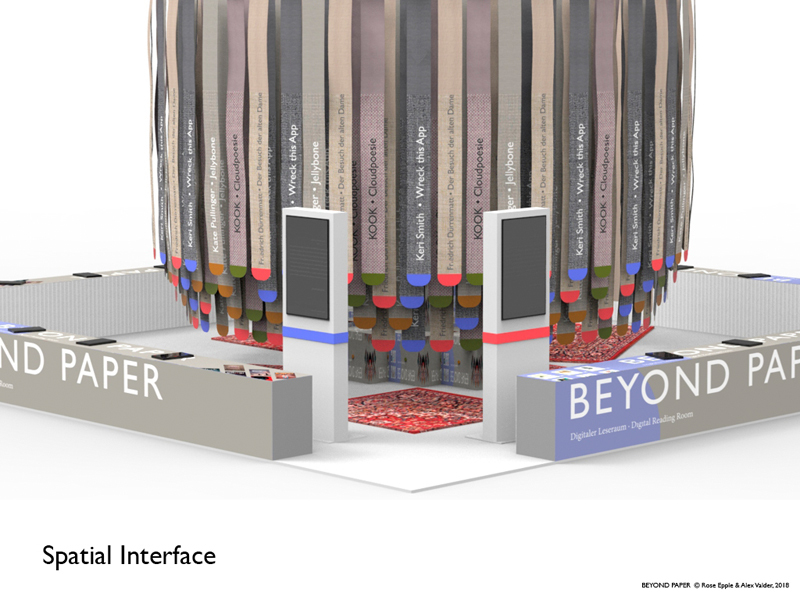 BEYOND PAPER allows visitors to browse physically through the soft spine curtain and the cubes, as well as digitally on the installed e-readers. Each book that is presented at the stand can be accessed on each e-reader. Educated Germans love to hate digital books – even when they have never actually seen one. BEYOND PAPER would like to build a bridge for these readers, not only by creating an agreeable space to experience an e-book but also by showing them how to purchase, open, browse and navigate one in explainer videos. Publishers can promote select books in the curtain or on the cubes. QR Codes printed on curtain and cubes invite visitors to download reading samples directly to their mobiles. BEYOND PAPER could also be used for digital book presentations. The audience literally looks over the shoulder of the author, while he skips through his or her book. All modules can be scaled and adapted to different situations, such as shop-in-shop or even for outdoor events. What is next? We are ready to go and are looking for partners such as a trade fair, publishing house or bookshop to make BEYOND PAPER happen!